We left LA on Day 24 for our coastal drive to Hayward, California – our next stop on our 28 day roadtrip. We would be staying with a friend, so we’d be able to spend a night/morning in Silicon Valley. Leaving LA – we stopped off in the morning at Beverly Hills and The Grove in Los Angeles. At The Grove, after some window shopping, we saw Mario Lopez tape for the TV show, Extra. Another star sighting moment for me! 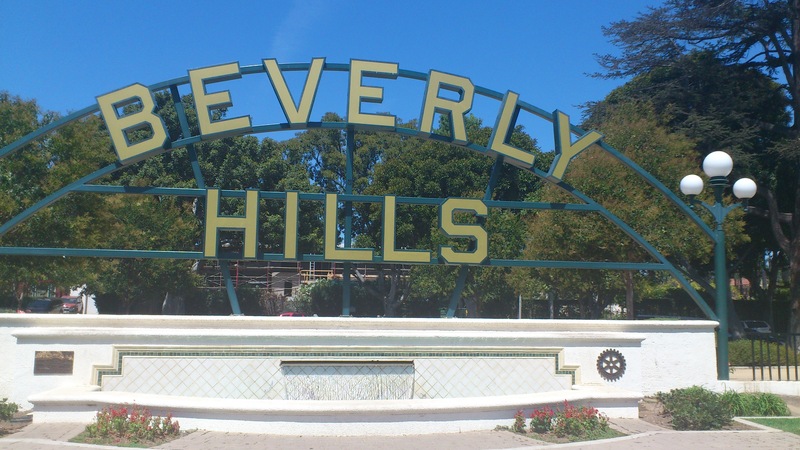 We then went to Beverly Hills to take a picture before leaving LA. There’s several ways to get to San Francisco from Los Angeles – we decided to take part of the coastal highway 1 before merging onto the 101 and up to Hayward – this route would take 9 hours roughly. Although it’s a longer route than I-5 highway, this would allow us to stop off at Malibu and Santa Barbara. 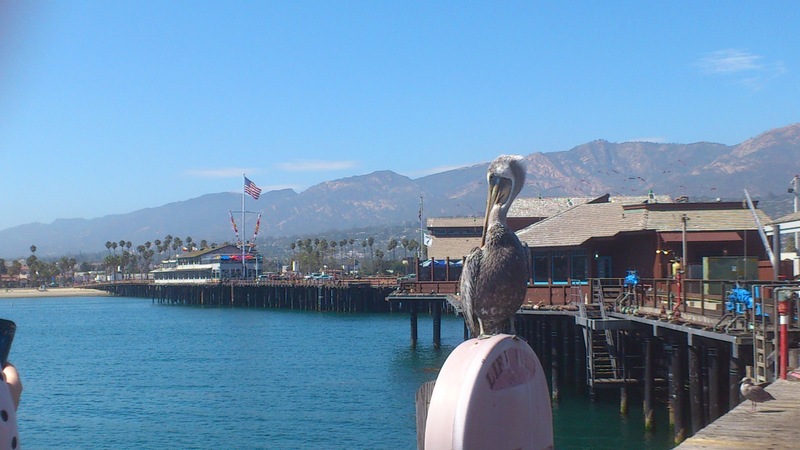 Santa Barbara reminds me a little bit of San Diego – we took a walk along Stearns Wharf (if you buy something and get your receipt validated at one of the shops on the pier, your 1 hour parking is free). If I came back to California, I would love to see more of Santa Barbara! 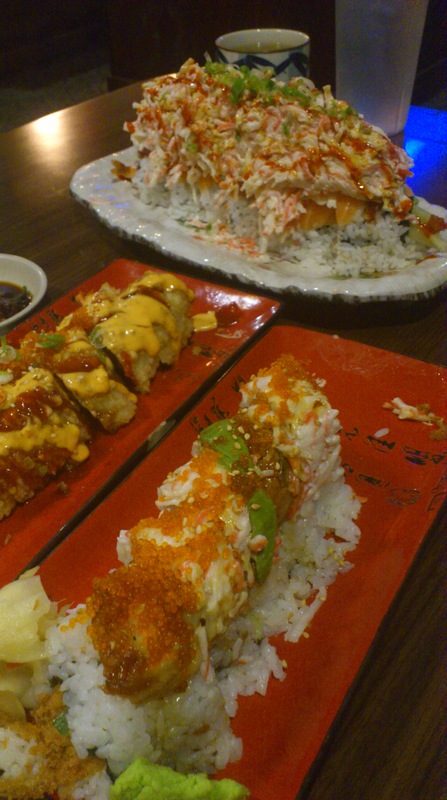 Reaching Hayward, my friends took us to a sushi restaurant called Old Town Sushi in Newark, California. This place had some giant sushi rolls! My friends ordered several rolls in which I forgot the names to, however the one roll that stood out was the Number One roll – the largest sushi roll I’ve seen and eaten! This roll looked like 3 rolls combined into one! What it was – a normal sushi roll, but piled with two times the amount of crab meat/mayo combo on top! It was really delicious and I surprised my friend by eating more than 1 piece, plus pieces from the other 3 rolls before I was full – I must have been quite hungry! Between the 4 of us, especially with my bf and I being super hungry, we finished all 4 of our rolls! I was surprised the sushi quality was quite creative and tasty for California. It was our first sushi experience on our trip and we were quite satisfied by that! 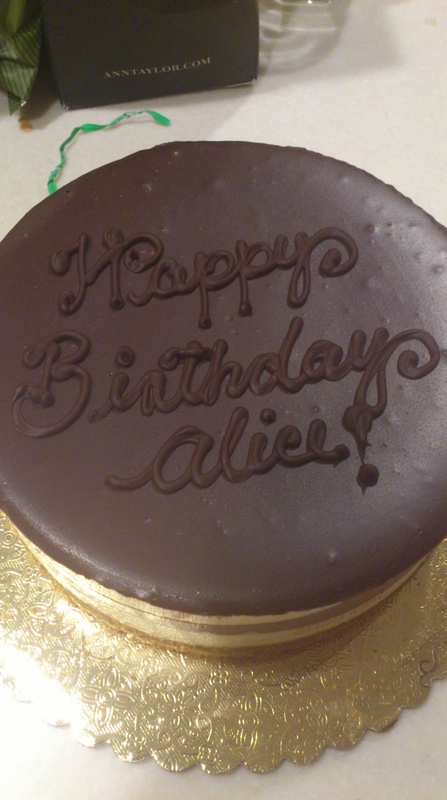 After dinner, we went back to the house, where my friends surprised me with a birthday cake as the next day was my birthday 🙂 Thanks Vermont & Erika! The cheesecake was delicious! We called it a night in preparation for a busy day visiting the Silicon Valley and then driving into San Francisco for my birthday weekend!